Jeremy, a British citizen, currently works as an economist at the International Growth Centre, a development economics research centre based at the London School of Economics and funded by DFID. 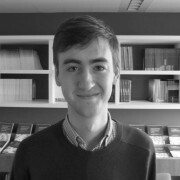 He spent the summer of 2013 as a Google Policy Fellow at Bruegel, where he worked on a project linking competition to the standards of internet access across the EU and complementary issues in European internet policy. He holds a BA in Philosophy, Politics and Economics from the University of Oxford and an MSc from the Oxford Internet Institute at the same university, and has previously worked for Chatham House in London and the UN Development Programme in Beijing. His interests lie between technology and economic policy. Who will win and who will lose from the impact of new technology onto old areas of employment? This is a centuries-old question but new literature, which we apply here to the European case, provides some interesting implications. If we believe that technology will be able to overcome traditional hurdles among non-routine cognitive tasks then we must equip the next generation of workers with skills that benefit from technology rather than being threatened by it. Analysis of the eurozone crisis and its consequences has started to consider its social, as well as political and economic, dimensions. Bruegel analysis, for example, has considered distributional challenges, effects on poverty levels, social security systems, and changes in confidence towards political institutions. Academic economic research into the significance of cultural values, such as trust, suggests a viable new route to consider some of these deep-rooted social consequences of Europe’s economic woes, and we seek here to sketch some stylised empirics. Events leading up to the forthcoming European Parliament plenary vote will be the litmus test of the political capital expended on promoting Europe as a site for innovative young technology companies. “The commitment to complete the Digital Single Market by 2015 has to be delivered on: today's market fragmentation hampers the release of the digital economy's full potential.” European Council ‘Conclusions’, 25th October 2013 (EUCO 169/13).